Gran Canaria is steadily gaining a reputation for its fantastic golf courses, stunning landscapes and luxury hotels. The island is already famous for its superb temperate year-round climate, beautiful beaches and cosmopolitan nightlife, making it an excellent base for your next golf holiday in the Canary Islands. For an unforgettable golf escape in the Canary Islands, Gran Canaria is an unbeatable choice. Just a four-hour flight away from most major UK airports, Gran Canaria is the perfect place to escape the winter blues to play some of the best golf courses in the Canary Islands. Home to the first golf course in Spain built in 1891, Gran Canaria offers golfers a range of fantastic golf courses all boasting their own character combined with an invigorating challenge. 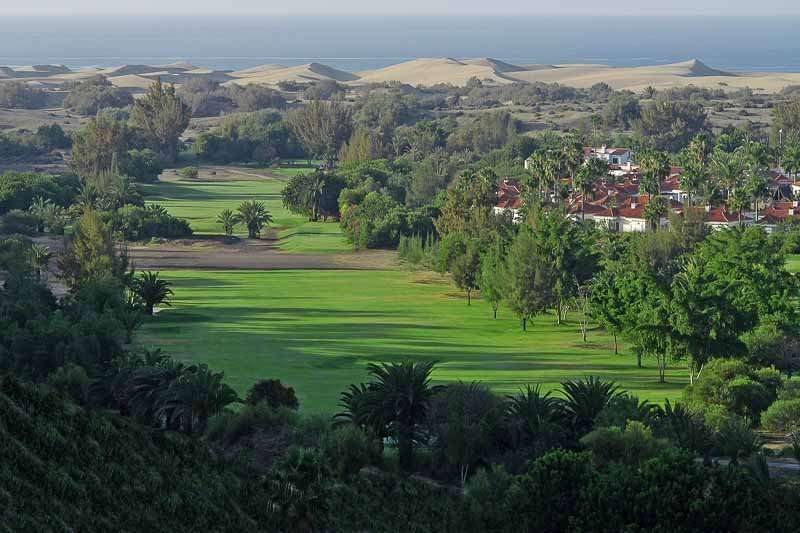 Two key areas for a golf holiday in Gran Canaria includes Maspalomas and Meloneras. 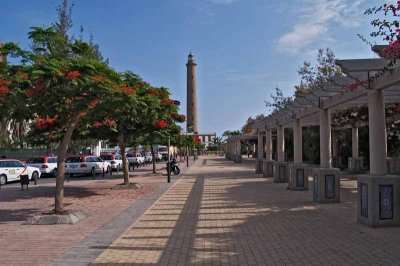 The Maspalomas golf resort is situated south of the island, and offers its visitors long stretches of sandy beaches and a vibrant town full of nightlife and hotels. Alternatively, for those after a more low-key golf break in Gran Canaria, Meloneras is the perfect destination. Despite Meloneras being renowned across the island for its relaxing atmosphere, it still offers guests a range of fantastic bars, restaurants and a shopping mall. There are a wide range of fantastic golf hotels in Gran Canaria. Pick your favourite accommodation from the options below, or click on View More to see our full range of golf resorts in Gran Canaria. Look through our range of the best golf courses in Gran Canaria below that will be sure to satisfy even the most demanding of golfers.If you have any specific questions about the golf courses you can visit please do get in touch. Located in Maspalomas is the Salobre Hotel Resort & Serenity, an exclusive 5-star hotel. Set between two fantastic 18-hole golf courses and offering stunning views throughout the property, the Salobre Hotel Resort & Serenity makes an unbeatably luxurious option for your next golf holiday in the Canary Islands. 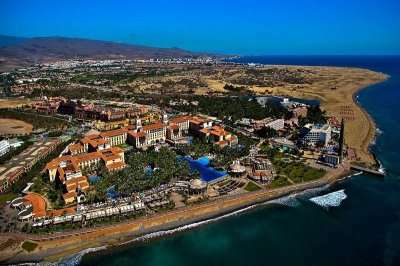 Conveniently for golfers staying at this hotel, they can play both of the Salobre Golf Courses with ease as they neighbour this property. The Salobre Golf Courses are the most popular golf courses in Gran Canaria, and after a round on them you will be able to see just why. Designed by Ron Kirby, the Salobre Golf New Course offers golfers a distinctive landscape set in volcanic rock surroundings creating an unforgettable golfing challenge. 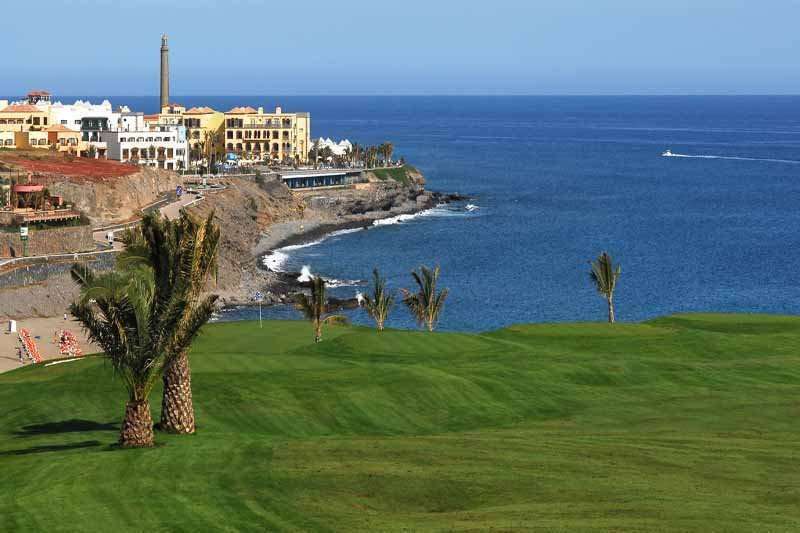 Alternatively, the Salobre Golf Old Course, host to the 2006 Spanish PGA, is another must-play golf course in Gran Canaria, and is widely known for its testing greens. 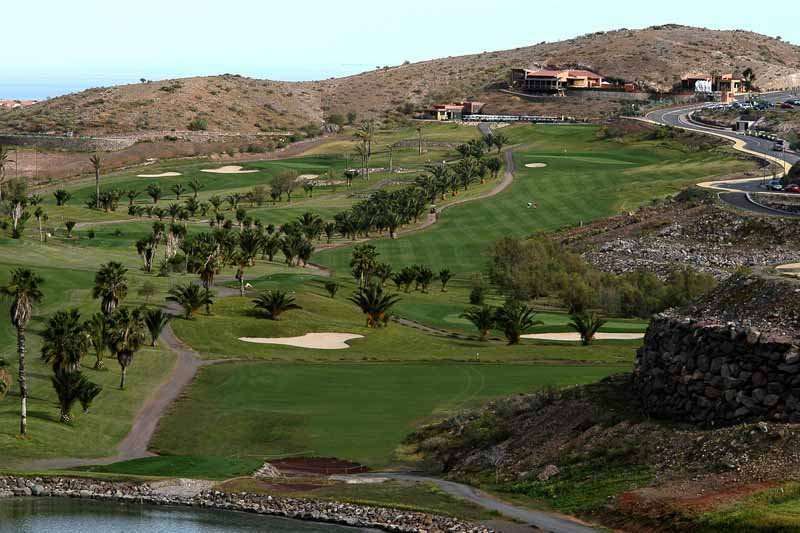 Another excellent golf course in Gran Canaria includes the El Cortijo Club de Campo, one of Spain’s lengthiest golf courses measuring an impressive 6.3 kilometres. 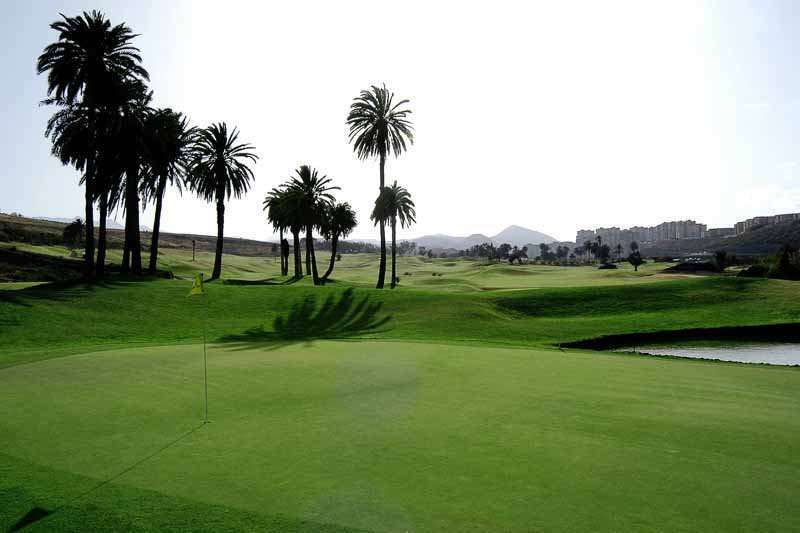 Designed by Blake Stirling and Marco Martin, two golf architects responsible for the design of several world-class courses, the El Cortijo Club de Campo golf course is not to be missed on your next golf break in Gran Canaria.